It just will NOT stop snowing in my neck of the woods! Arggghhhh! So to combat the snow I decided to take a mani vacation and use a super bright fun Summery color, OPI Live. Love. Carnaval. 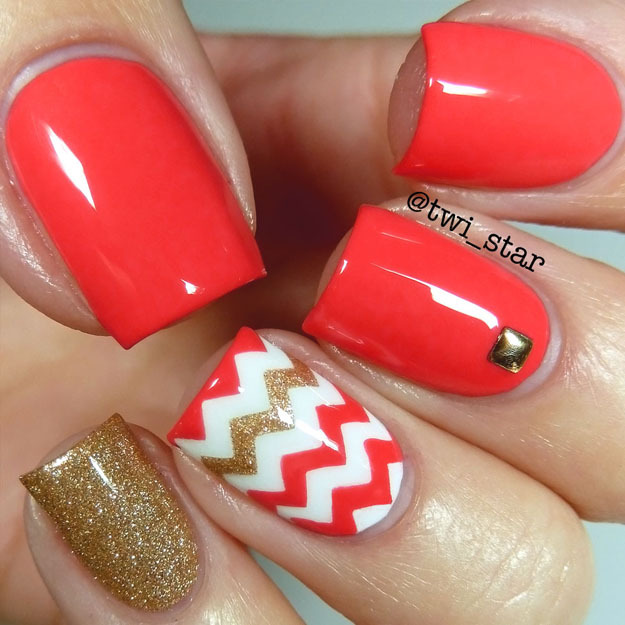 Add some gold and chevron vinyls and you have insta-Summer! Check out what I did. 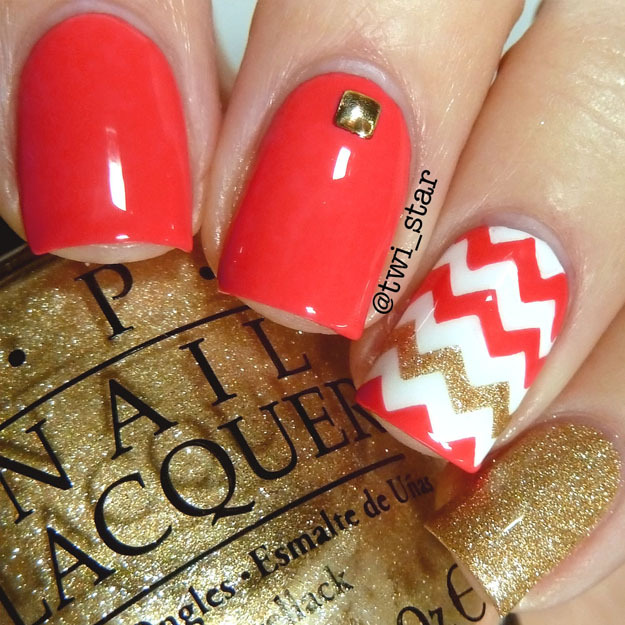 This crazy bright coral is OPI Live. Love. Carnaval. I used this color like it was going out of style last Summer, it is perfection! I used 3 coats here. The gold is one of my go-to's OPI LAMB, a satin shimmery gold but I added a top coat for some shine. If you want to see more LAMB look here. For the white base on the chevron accent I used OPI Alpine Snow. 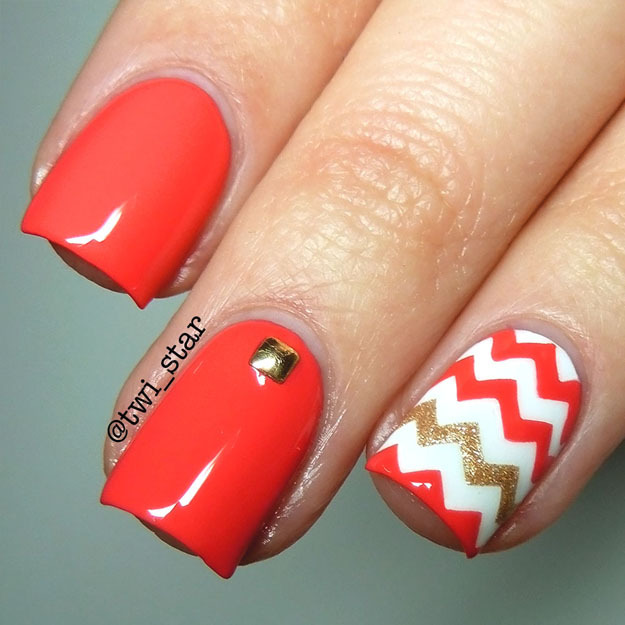 The mini chevrons are from Vinyl It Up, the mini chevrons are my fave nail vinyl! My nail vacation worked! It helped take me away at least mentally from all this damn snow. How about you? 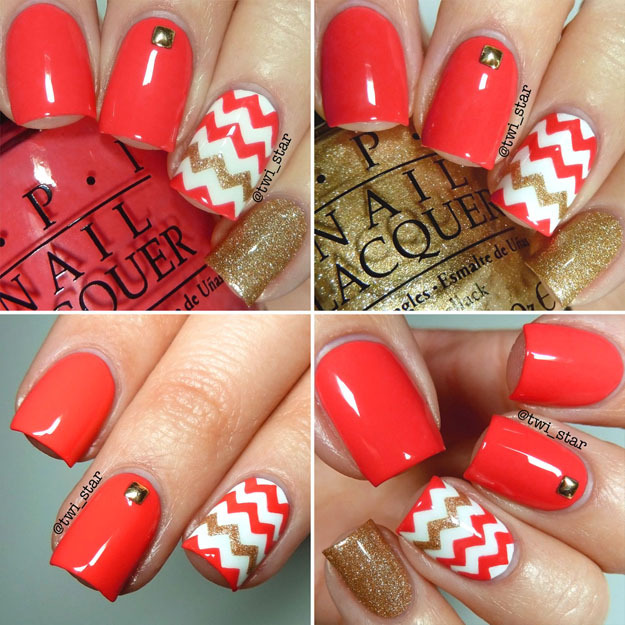 Do you like wearing a bright mani to combat the weather? Aqua and White Leopard nails - Bestie Twin Nails!